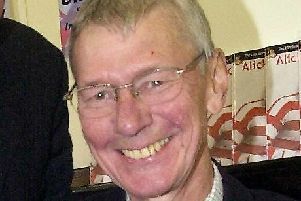 A top selling Doncaster author and raconteur will be the guest of honour at a village primary school next week. Gervase Phinn, who has penned a string of best-selling books, will host a special assembly at Haxey Church of England Primary School in Haxey before discussing his work and passing on his tips to youngsters in special class workshops. Rotherham-born Gervase spent his career as a teacher before becoming a schools inspector - and his volumes of memoirs detailing the funny side of life in the classrooms proved to be a bestsellers. He has published five volumes of memoir, collections of poetry and a number of books about education and has made a string of appearances on television and radio. The event will take place at the school on July 3.